Empower RF Systems, Inc., a leading provider of high-power ultra-broadband radio frequency (RF) amplifiers is seeking qualified, dynamic, successful and driven candidates. Founded in 1999, Empower RF Systems designs and manufactures solid-state, high-power RF amplifier systems and modules for commercial and military customers worldwide. 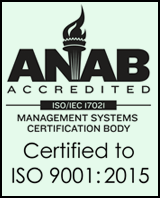 We are an ISO9001 certified company with an excellent industry reputation. New employees are hired with an eye toward their future growth potential and capability to contribute to this fast-paced work environment that encourages engineering innovation and customer satisfaction. We offer a competitive salary, cash bonus plan, comprehensive benefits including Medical, Dental, Vision, 401(k) contributions, etc. As an Equal Opportunity Employer, we are committed to a diverse workforce. If any of these position descriptions sound like you, we welcome your response! This position is located in the Inglewood, CA headquarters and reports to the Chief Technical Officer with a supporting role in all activities of the Engineering Department. As an Associate RF Engineer at Empower, the incumbent will participate in the process from proposal to end of life in the design, development, and maintenance of high power Solid-State Amplifiers and Systems targeted to the industrial, commercial and military markets. The incumbent will work with other engineers, managers, Product Management, QA, and Operations teams to develop innovative solutions that meet market needs with respect to functionality, performance, scalability, reliability, realistic implementation schedules, and adherence to goals and principles. 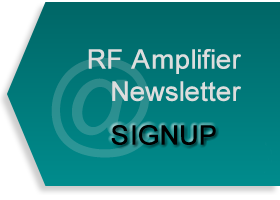 RF High Power Solid-State Amplifier design, using 1 MHz to 6 GHz simulation design tools, such as HFSS and ADS. High Power amplifier design using LDMOS, GaAs and GaN devices to > 1000W. Validate and test new products & designs in the lab; participate in internal R & D of new RF technologies. Design and perform amplifier characterization under high power conditions and the interaction of the amplifier integrated into the amp assembly. Perform circuit analysis on simple to medium complexity analog, digital, and RF circuits. Generate test procedures and schematic diagrams; assist in design reviews under the guidance of senior engineers. Provide support to the Engineering Organization as directed. Resolve technical problems during test and integration phases. Generate and review technical product documentation, including written documentation instructing customers in the use of delivered products. Establish product design criteria, and determine material requirements, product operational capabilities and limitations. Responsible for project management of his/her designs and assure the workflow hand-offs to the various agents within the company. Associate or Bachelor's degree in Engineering Science/Electrical Engineering required or equivalent experience. A strong educational foundation that includes coursework and lab work in RF/Microwave theory and principles. Knowledgeable in digital and analog electronics. Experience with RF/microwave measurement instruments such as spectrum analyzers, network analyzers, signal generators, and oscilloscopes. Ability to interface with the customer, manufacturing, test, and technical subcontract technical personnel. Knowledge of device and device technology. Skilled in the design, validation and characterization of analog circuits. Good written and verbal communication skills and a strong desire to learn and contribute in a fast-paced environment. Must be a flexible, motivated team player with ability to prioritize tasks, and communicate effectively. This sales and leadership position is focused on driving business growth and results from our key markets of EW (Electronic Warfare), Communications, Radar, and Test & Measurement. The RF Sales Account Executive has a technical background, strong credentials and contacts in OEM’s and Agencies, and a demonstrated track record of partnering, team building, and strategic selling. Execute a sales plan and lead by example in implementing strategies to close orders and grow our power amplifier business. Build a strong presence for Empower RF Systems at targeted OEM and Agency locations and across key markets. Leverage industry contacts and previously-developed account coaches to generate and close new business opportunities. Build a sales funnel for developing new business and mapping key opportunities at targeted OEM’s and Agencies. Work collaboratively with product engineers, FAE’s, business development, and inside Sales support team. Represent the Company with key customers by leading, as appropriate, contract negotiations and strategic engagements. Participate in industry or trade associations as a representative of Empower RF Systems. Provide accurate and timely reports, forecasts, and budget detail to management. BSEE or other BS degree, or equivalent RF industry experience. 10+ years of successful experience in strategic account sales of complex RF products and sub-systems. Ability to read and understand technical aspects of amplifier design as related to sales opportunities and contracts. Confident presenter with strong communications skills, both written and verbal. Self-motivated – competitive and with an entrepreneurial spirit. Record of achieving sales results; strong network of relevant contacts at OEM’s and Agencies. Demonstrated skills and references as both a team builder and customer advocate inside the organization. Reporting to the Production Test Manager and partnering closely with engineering teams, the RF Test Technician develops and performs test solutions for RF products from concept through manufacturing release. He/she supports product development evaluations and final product characterization testing, and works with the development team in providing testability planning, strategies and methodologies. Work closely with product engineering, design engineering and operations to support product development and manufacturing. Specify and recommend test resources, processes, capabilities, and technology. Set-up test circuits to measure the electrical parameters of products. Specifications are normally called out in ATP’s, but may have to be modified to utilize equipment available and process standardization. Test, update and repair printed circuit board using test stations, soldering equipment and/or tools. Participate in the assembly and testing of RF components within manufacturing. Use basic statistical tools, compare to charts, histograms, cause and effect diagrams, to evaluate electrical data for test variability and aid in problem solving. Associate Degree in Electrical Engineering, trade school education, electronic certification or equivalent professional training with 3 years of experience in RF testing and basic manufacturing assemblyskills. Knowledgeable in a variety of electrical test instruments used in the testing of RF amplifiers. Capable of setting and adjusting each electrical test instrument and measuring the magnitude and accuracy of the parameters called out by the specification. Must be capable of making complex test set-ups including inputs, outputs and metering requirements. Basic RF knowledge along with tuning/troubleshooting experience from 6GHz and below. Ability to debug circuits and systems. The Electronic Assembler properly joins together complex RF power amplifier assemblies. Assembly work includes sweat soldering, differential soldering, surface mount technology (SMT) and fine pitch component soldering, coaxial transformers, ferrites, and all RF-related passive components. Works from production assembly instructions, schematics, rough sketches, and verbal instructions or notes to assemble, wire and install a wide variety of complex mechanical /electrical assemblies. Performs operations such as assembling units of high complexity, including printed circuit boards, modules, chassis, cable harnesses and similar tasks. Performs a variety of miscellaneous shop work and other duties as assigned. Works with small hand tools such as soldering iron, wire strippers, crimpers, wrenches, screwdrivers, and power tools. Assists in reviewing documentation including assembly prints, part lists, and mechanical prints related to building and testing hardware. Two or more years of experience with assembling electrical and mechanical parts is required, including PCB. RF board and RF component experience is a plus. Must have previous training in IPC J-STD-001 and IPC-A-610 current certification or equivalent. Must be able to read, write and speak English, perform simple math, and comprehend instructions as needed. Ability to effectively use power and hand tools (soldering iron, wire strippers, crimpers, wrenches, screwdrivers, etc.) is required. Machine shop/mechanical background is a plus. Must be able to read and understand assembly prints, parts list, wiring diagrams and wiring lists. Schematic familiarity and understanding of part numbers, polarity designations, color codes, etc. Ability to regularly lift and move units weighing 50 pounds. Capable of removing and installing SMT and through-hole components. The Automated Test Specialist will improve quality and consistency of System and Component testing for final products to be shipped to customers. The Automated Test Specialist will be involved in developing and maintaining test equipment and software for automated testing of shippable products. He/she will be responsible for creating automated tests that conform to Empower RF’s standard Acceptance Testing, as well as any custom customer requirements. The Automated Test Specialist will work with Empower RF’s current Software Development team, Engineering team, and technicians to develop generic automated tests for a large number of Empower RF’s product line. Good position for beginner RF Technician.